Wondering about the cost of travel in Colombia? Look no further, we’ve got you covered. In this guide, we’ll break down the cost of travel in Colombia, from accommodation to food and nightlife, and help you choose the Colombia budget that fits your travel style! Use the table of contents below to jump to that section. The comparatively low cost of travel in Colombia has helped make it a popular South American destination in recent years. And due to the cost of living, expats who fall in love with cities like Medellin are able to more easily support themselves on a budget, by teaching, or by starting their own businesses. Need itinerary ideas? Check out these unique G adventures trips! Most ATM's accept international checking and credit cards, though the maximum withdrawal allowed will vary between 300,000 to 720,000 COP. ATM's usually allow withdrawals in 10,000 COP increments, and most will dispense a mixture of 50,000, 20,000, and 10,000 COP bills. Accommodations in Colombia range from cheap hostel dorm beds to 5-star luxury hotels. In the middle, there's a wide range of budget hotel options, and short term room and apartment rentals for those who prefer to stay base themselves in a particular location for a few weeks or months. In the small pueblos, room rates are often higher on the weekends to take advantage of the Colombians visiting from the bigger cities. For full list of Colombia hostels, B&Bs, and hotels click here, or Try Couchsurfing! Connect with locals, stay in their home, save money. What's there not to like about that? Meet travel inspired people who open their doors to travellers like you to share experiences, and make memories. Click here to learn more! All the mainstream accommodation search sites (Booking.com, Agoda, Hostelworld, etc) have plenty of accommodation options in Colombia. However, we’d recommend starting with Hotels Combined. Hotels Combined is a meta-aggregator. It scours all the well known booking sites to find the best price, and then connects you to that site, so you can book directly with that search site (like (Booking.com, Agoda, etc). It’s a perfect way to compare all the major booking sites at once. It doesn't include Hostelworld, however, so you’ll need to compare that site separately, but in many cases we've found cheaper deals on Hotels Combined. Below is an example comparison which we ran for El Pit Hostel in Bogota. The images show the search results on Hotels Combined — $11 – $13 per night for a bunk in a 10 person dorm, and a comparison of the actual deals when clicking all the way through. Type in your destination and find out where the best deals are! Below we’ve priced out three different budgets based on a 14-day sample Colombia itinerary to help you figure out the cost of travel in Colombia, and give you an idea of how your travel style, budget, and the types of accommodation you prefer, based on the following. Prices listed are for August, and will vary throughout the year. We priced the itinerary out with 3 different travel styles in mind: “On the Cheap” (this consists of dorms beds & as cheap as possible), “Upscale Budget” (dorm rooms in ‘boutique’ style hostels), “Affordable Flashpacker” (this will include private rooms in boutique and ‘higher end’ hostels, and some 3-star hotels). We've used Hotels Combined to find the best hostel sand hotels in Colombia! 3 Nights Bogota (US $21.00 to $27.00) — About $7.00 per bunk per night at Musicology Hostel (rated 7.6/10) to $9.00 per bunk per night at Swiss Hostal Martinik (8.1/10 on Hostelworld) – both hostels are located in Barrio La Candelaria, the historical center. 2 Nights San Gil (US $12.00) — This is an awesome little town very close to the picturesque town Barichara, and known for its water sports on the river – a cheap and cheerful night can be had for $6.00 per night at Bacaregua Hostal (rated 10/10). 3 Nights Cartagena (US $27.00 to $30.00) — Cartagena is a very popular destination for both Colombians and travelers so expect prices to higher here than in other cities. Pachamama Hostel (rated 8.0/10) about $10.00 per bunk per night, or Mi Llave (rated 7.5/10) about $9.00 per bunk per night – both are very close to each other in the old town where the action is, and about a 15 minute walk to castle. 3 Nights Medellin (US $21.00 to $24.00) — There are a couple of relatively cheap places like InMedellin for about $7.00 per bunk, per night, but for a bit more, a place like Waypoint Hostel (rated 9.3/10) for $8.00 per bunk, per night would be a good bet too. 2 Nights in Manizales (US $18.00 to $20.00) — Spend some time in the coffee region! Most of the hostels in Manizales are reviewed quite highly, Mountain Hostel (rated 8.0/10) for about $10.00 per bunk, per night, or Casa Blanca (rated 9.0/10) for $9.00 per bunk per night. 1 Night Bogota (US $11.00) — Obviously you could stay in the same place as the start, but if you have an early flight and prefer to be closer to the airport, Violeta Hostel (rated 7.8/10) is the closest, about a 15 minute drive. It looks peaceful and cozy and pretty much all negative comments reflect the location according to the main sites of the city, but for getting to the airport, it’s just fine. About $11.00 per bunk per night. 3 Nights Bogota (US $33.00 to $42.00) — From about $11.00 per bunk per night at both El Pit Hostel (9.3/10 on Hostelworld) and 12:12 Hostel (rated 9.0/10). Both have amazing reviews, well located, and are a favorite among backpackers. For something a bit more unique, but also a calm and peaceful ‘non-party hostel’, check out Fernweh Photography Hostel (9.3/10 on Hostelworld) from $14.00 per bunk per night. 2 Nights San Gil (US $16.00) — About $8.00 per bunk, per night at SamS VIP Hostel (rated 9.1/10) or Open House Hostel (rated 9.2/10) from about $8.00 per bunk, per night, as well which looks like it has a very laid back and chill vibe. 3 Nights Cartagena (US $45.00) — Cartagena is a lively Caribbean coastal city, check out Hostel Papaya Getsemani (rated 8.4/10) $15.00 per bunk per night, or Be Lounge (9.1/10 on Hostelworld) also from about $15.00 per bunk per night – both are very well located in the old town. 3 Nights Medellin (US $45.00 to $54.00) — Los Patios Hostal Boutique (9.6/10 on Hostelworld) from $15.00 per bunk, per night, or Hostel Rango Boutique (9.6/10 on Hostelworld) for $18.00 per bunk, per night – both nicely located in the popular Poblado area. 2 Nights in Manizales (US $18.00 to $20.00) — Spend some time in the coffee region! Most of the hostels in Manizales are reviewed quite highly, try Hostal Kaleidoscopio (rated 9.0/10) for $9.00 per bunk, per night, or stay on a coffee farm at Hacienda Venecia (9.7/10 on Hostelworld) for about $10.00 per bunk per night, although you might want to check Hostelworld for bunk rates as they only room rates show on Hotels Combined. 1 Night Bogota (US $25.00) — If you want to stay close to the airport for an early flight, try Hotel Parque De Normandia, it get decent-ish reviews on Trip Advisor from travellers staying a night just to be close to the airport. From $25 per room, per night on Hotels Combined. 3 Nights Bogota (US $87.00 to $105.00) — BoGo Hostel (9.0 on Hostelworld) has a great looking vibe, and it’s in the historical center, a private room with shared bath goes for $29.00 per room, per night. Or, if you can stretch your budget, private rooms at Arche Noah Guesthouse (rated 8.8/10) look amazing, prices are getting into the hotel range at $35 per night, per room for a private with an ensuite, but looks super comfortable. 2 Nights San Gil (US $24.00) — Hostel Nirvana San Gil (rated 9.3/10 on Hostelworld) has a resort feel to it, with a pool and a cocktail bar. It’s also situated right on the river making for a perfect, peaceful hammock nap. It has private rooms with an ensuite for $24.00 per room, per night. 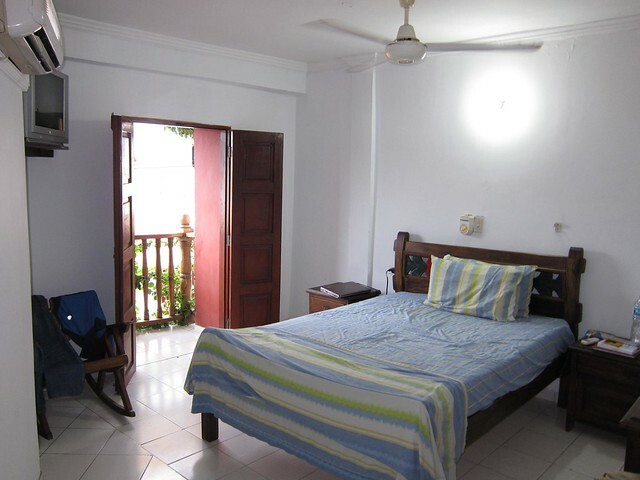 3 Nights Cartagena (US $105.00 to $150.00) — Casa Pedro Romero (9.3/10 on Hostelworld) has private rooms with private bathrooms from $35.00 per room, per night, or a nice, and well located 3 star like Hotel San Filipe (8.2/10 on Booking.com) can be had for less than $50.00 per night. 3 Nights Medellin (US $108.00 – $120.00) — Black Sheep Hostel (9.0 on Hostelworld) is one of the most popular hostels in the city, not a boutique per se, but worth mentioning. They have both single private and double privates with shared bathrooms or ensuites, a double private with private bathroom goes for $40.00 per room, per night. GeoHostel (9.0 on Booking.com) is also worth a look, part hostel and part 3-star hotel with a double room going for $36.00 per night. 2 Nights in Manizales ($92.00) — Hotel Regine's Manizales gets great reviews (9.2 on Booking.com) and rooms go for about $46.00 per night and includes breakfast. 1 Night Bogota ($35.00) Check out Hotel Casa Modelia, a quirky and basic, but very well liked hotel just a few minutes drive to the airport. Breakfast is included and they do have an airport shuttle available for a fee if you prefer, about $35.00 for a double room, (9.7 on Booking.com). Most (if not all) hostels have broadband internet access, and Wi-Fi, which is common in Colombia. Wi-Fi quality can vary depending on the quality and quantity of routers, as well as their placement. Overall, Colombia is well connected, and a good place from which to work if you're a location independent professional. Typical Colombian food is a bargain when bought from street vendors or regular restaurants (outside a city's Zona Rosa or a pueblo's main plaza, where prices are higher due to tourism). 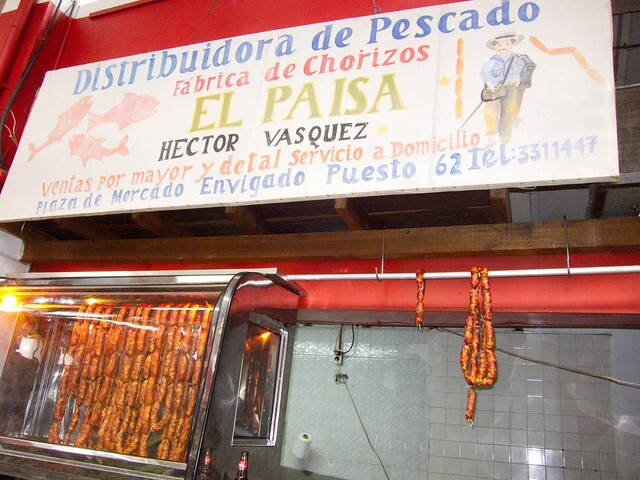 Bogotá Food Tour: 2.5-Hour Small Group Walking Tour – Learn about the history of the regional foods while you explore the historical center of Bogota. Over 2.5 hours, and 6 different food and beverage tastings, you will understand how the fusion of Indigenous and Spanish cuisine has shaped the cultural landscape. Medellín Traditional Food Tour – You will have a private driver and guide for this 3 hour tour that will take you to surrounding communities of Sabaneta and Envigado to try the region's traditional specialties. Unlimited samples plus pick up and drop off from your hotel, hostel or apartment are included. 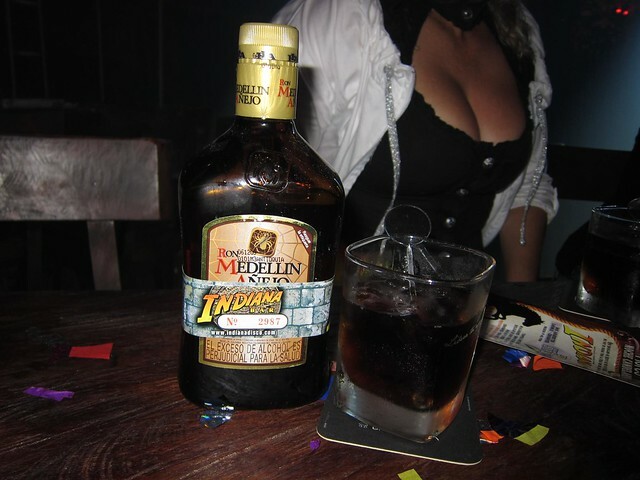 Bottle of Ron Medellin Anejo (rum) at a discoteca. 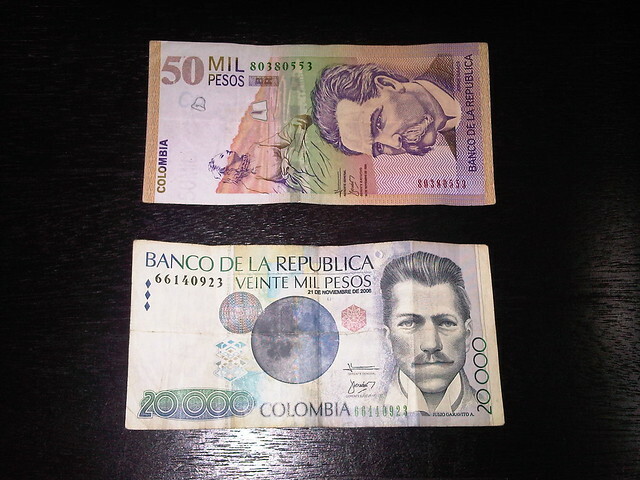 The cost of travel in Colombia will vary based on the amount of partying one does. The cheapest way to enjoy Colombia nightlife is to purchase beer, rum, or Augardiente from any number of small tiendas or convenience stores, and drink in the parks (drinking in public is legal, unless otherwise posted). 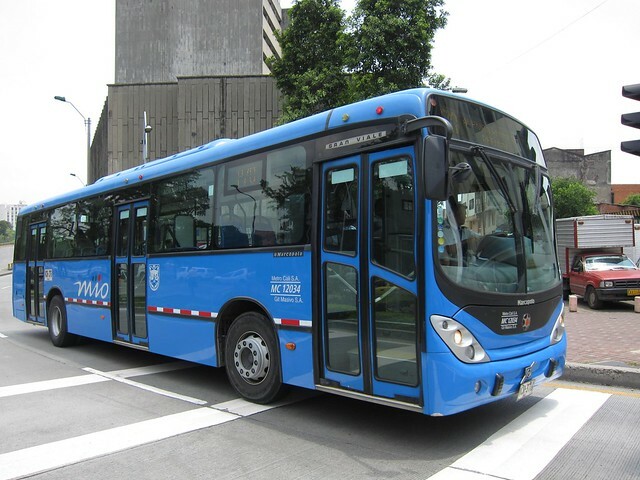 Colombian cities, pueblos and major points of interest are all connected by an extensive network of bus and domestic air routes. The cost of travel in Colombia is on par with other Latin countries. Within the cities, taxis and buses can take you everywhere. Share jeeps and moto-rickshaws are available in the smaller pueblos. Between Avianca, Aires and Copa Airlines you can fly just about anywhere within Colombia, as well as fly to/from the USA and neighboring countries in Latin America. Economy tickets for flights between major cities within Colombia can often be purchased on short notice for as little as 166,000 COP ($55). A lot more carriers fly international routes to/from Colombia, including JetBlue (Bogota) and Spirit Air (Bogota, Medellin, Cartagena). Technically you're required to have an onward or return ticket to enter the country, however in practice it's more likely that the airline from your departure airport will be the one to check before you leave, rather than the Colombian immigration officials when you arrive. In the past, cheap flights have been available from Washington, DC to Medellin for as little as $280. Flights out of the Colombia tend to be more expensive. There's a wide range of things to do in Colombia, and most Westerners will appreciate the low costs, from museums to adventure sports. 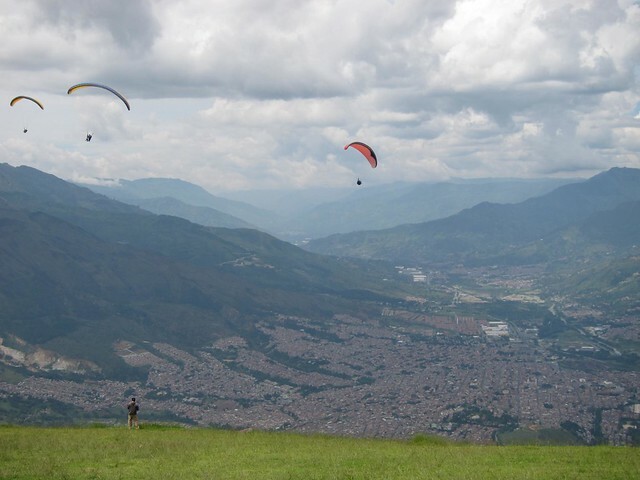 Paragliding the Andes: 4-Hour Activity from Medellín – No experience required! Get picked up from your hotel, hostel, or apartment and head to San Felix Peak where you will meet your certified instructor who be with you for your 30 minute flight gliding over the Andes for a truly unforgettable experience. Full-Day Scuba Diving Trip from Cartagena – Dive in the crystal clear blue Caribbean waters off the Rosario Islands. Trip includes all necessary equipment, a practice dive and an open water dive with a PADI instructor. Lunch and the use of hotel facilities is included during breaks. Transfer to and from Cartagena is also included. The cost of travel in Colombia is less than Brazil, but higher than other South American countries like Ecuador, Peru and Bolivia. Budgets will vary based on the amount of partying one does.